The second annual U.S. Poker Open will run Feb. 13-23 with two Short Deck events, streamed exclusively at PokerGO. Check out the schedule of the 2019 U.S. Poker Open - the second leg of the High Roller Triple Crown. The second annual U.S. 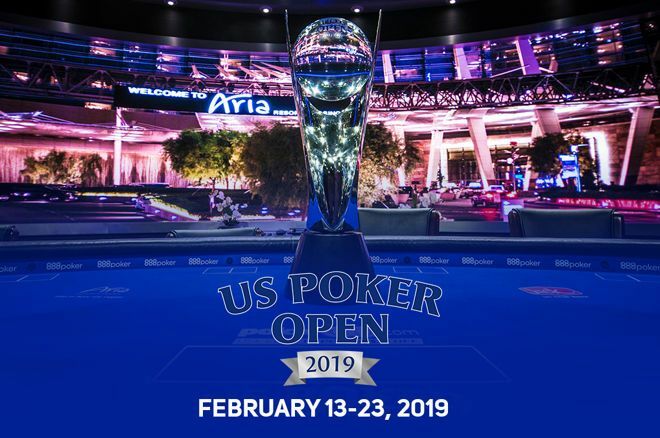 Poker Open will return to the PokerGO studio at the ARIA Resort and Casino in Las Vegas from Feb. 13-23, Poker Central announced today. Along with the other Aria high roller series, the Super High Roller Bowl and the Poker Masters, the U.S. Poker Open marks the second leg of the "High Roller Triple Crown." Championship points will be awarded throughout the series for deep runs, and the player that finishes with the most points will receive a bonus $100,000 reward put up by Poker Central, in addition to the coveted trophy up for grabs. The expanded ten-event series will feature four $10K events, four $25K events, a $50K and the addition of a $100,000 Main Event that will kick off on Feb. 22. The schedule is also spiced up with two Short Deck events in addition to the standard no-limit hold'em and pot limit omaha events. The $10,000 and $25,000 buy-in Short Deck events will take place on Feb. 16 and 20, respectively. The prestigious tournaments will be streamed exclusively on the OTT streaming platform PokerGO, with original episodes to air later on NBC Sports Network. In last year's inaugural U.S. Poker Open, Stephen Chidwick cashed in five and final tabled four of the eight events, winning two back-to-back $25K events (No-Limit Hold'em and Mixed Game Championship), and finishing runner-up to David Peters in another $25,000 No-Limit Hold'em. 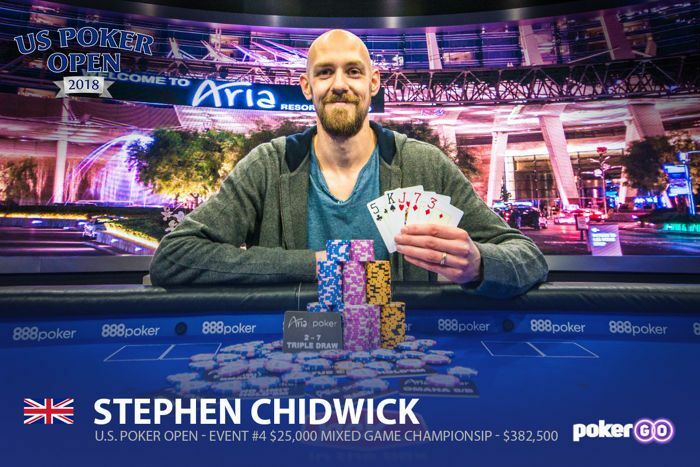 In addition to $1,256,650 in earnings for the series, Chidwick captured the first-ever U.S. Poker Open title and trophy. Stephen Chidwick poses after winning the U.S. Poker Open $25k Mixed Game Championship. Aria continues to be a prime venue for high roller action, and with the new state of the art PokerGO studio, fans can watch all the action from home through Poker Central. Vice president of content at Poker Central, Sam Simmons, is happy to continue with their successful partnership with Aria.